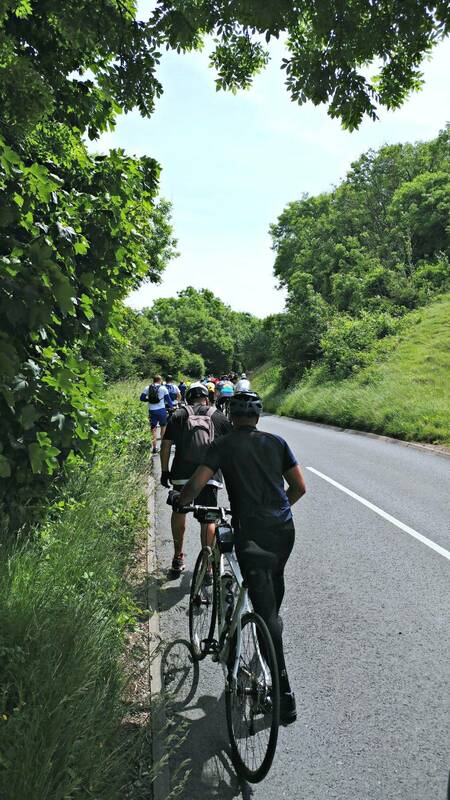 It’s kind of hard to put into words my experience last week at the BHF London to Brighton Bike Ride. I’ve had a full week for the achievement to sink in, and that medal is now probably one of the ones on my hanger that I am most proud of. The event was amazingly well organised, marshalled and with a really friendly, inclusive atmosphere. I am already planning on doing it again next year, and would highly recommend it to anyone wanting a new cycling challenge. There were people on road bikes, hybrids, Bromptons, choppers, tandems, even a couple of guys roller skating so it’s definitely for everyone! I was lucky enough to have a VIP entry, which meant I could start in any of the half hour waves from 6am to 9:30am. 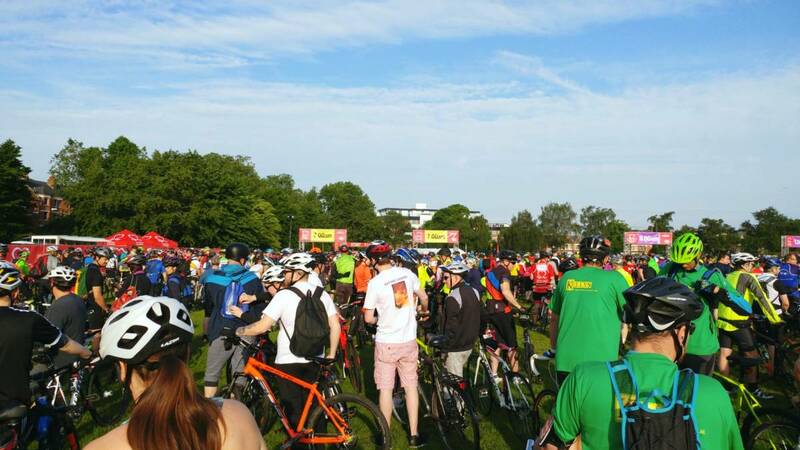 I opted for the 7am wave, being dropped off by a friend at Clapham Common about 10 to, with just enough for a nervous toilet stop and a few start-line selfies before we were moving. It took about 10minutes to walk across the line and get out of the initial bottleneck so I could actually get on my bike, but then we were off. The first 7-8 miles are getting out of London, with lots of traffic lights, junctions and roundabouts. I was pretty nervous about the stop-starting with my lack of confidence with clip-in pedals so I took this really steady, and tried to just settle into a rhythm and dispel some of the butterflies in my stomach! The first fuel stop was at 10miles, which had taken me just under an hour and I took advantage of the break to eat some CLIF shot bloks and refill my water bottle. 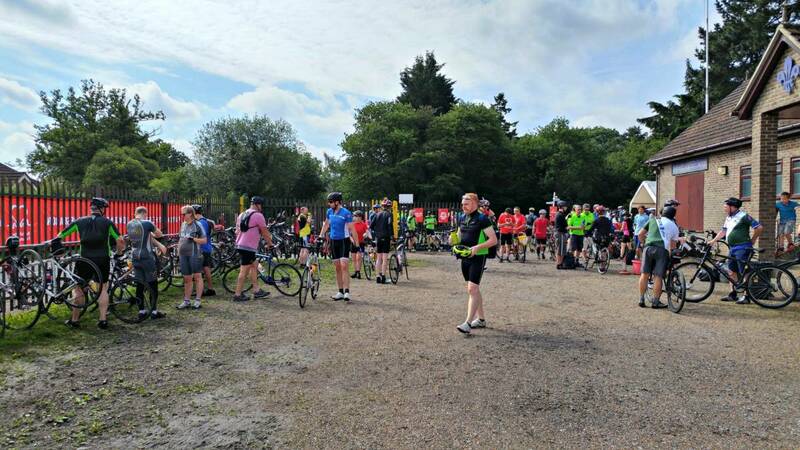 I’d stuffed my jersey pockets with snacks, but there were lots of food stands at the fuel stops – I didn’t investigate too closely but it looked like most required at least a donation, although you had a wide variety of cakes, biscuits, burgers and more! 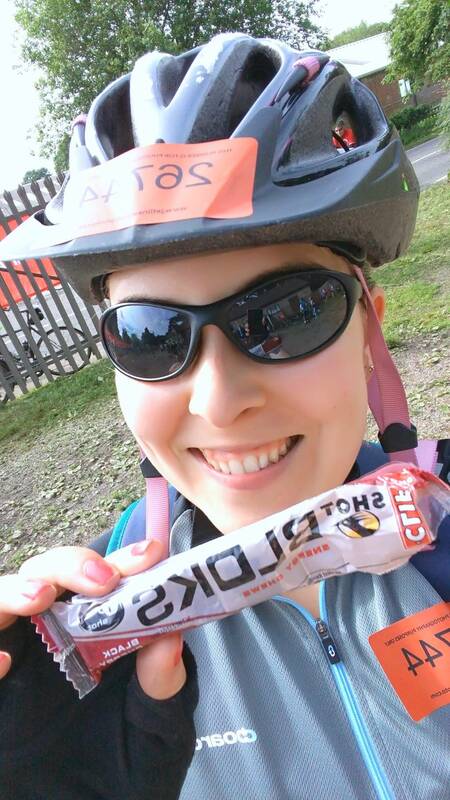 I’m not sure how my stomach would have fared with such rich food so I stuck to my tried and tested CLIF shotbloks (love these and ate 2 packets! ), Gu gels (salted caramel x2), and a Bounce ball. 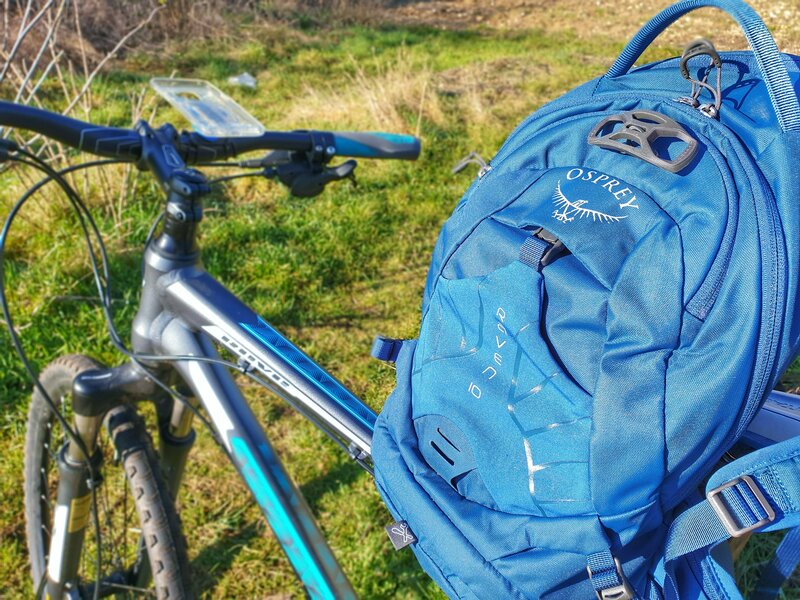 As we headed out into the countryside, crossing under the M25 and starting to tackle some of the hills I relaxed a bit more – most of the roads were closed and where we did encounter traffic there were marshals to make sure that we were safe. A few police bikes whizzed past occasionally too, making sure people stuck to the right side of the road or didn’t go too crazy fast on the downhills! I had my Garmin FR10 strapped to my handlebars just out of interest to see my speed – the battery didn’t last for the whole ride but I did hit 30mph at one point! My average speed was a lot slower though, equalling out at about 10mph for the whole ride including stops. 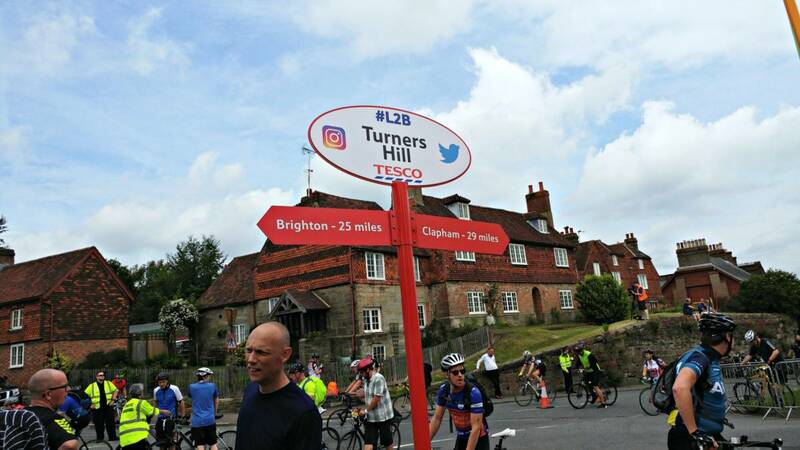 My second break was at 29 miles at the top of Turners Hill – a pretty mean climb, but riders were met with a brass band, orange slices and a grassy green to catch your breath. I grabbed a few pieces of fruit and ate my Bounce ball, before setting off again suitably refreshed. I didn’t allow myself to sit down or break for more than about 5 minutes at a time so my legs didn’t seize up and I maintained the momentum. After Turners Hill was a long section of downhill which was very welcome! About 8 miles of flat or descent to give the legs a bit of respite. My knee (and bum!) didn’t really start complaining until about 35-40miles. 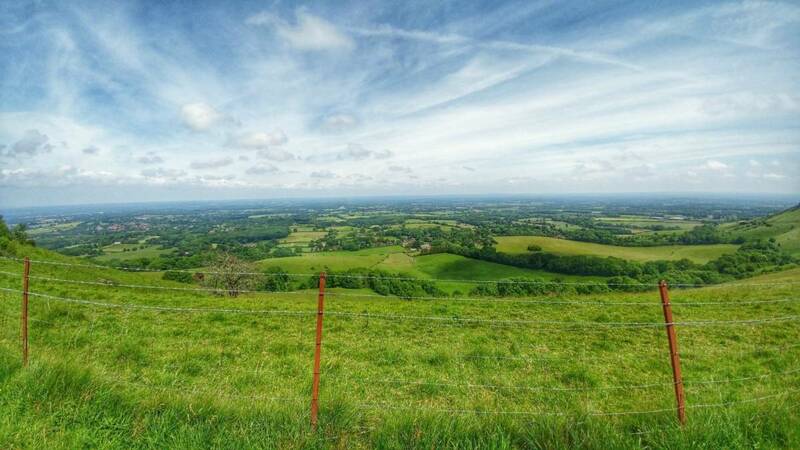 I knew that Ditchling Beacon was round-a-bout 45miles but I think I started to anticipate it too soon, and could have kept going a bit faster and stronger for a few more miles. When I saw the “last fuel stop before Ditchling” signs I paused and took another gel. There was a crossroads just before the hill, where unfortunately a truck was doing some complicated maneouvere in the middle of the road so rather a crush of cyclists had formed and when we set off again people were already walking so there was no way really I could try and cycle up the hill. I dismounted and started walking behind everyone. As people spread out a bit, some got back on their bikes and started cycling again but it was already pretty steep and I am rubbish at hill starts! Walking in cleats was hard though and painful- my calves were screaming at me after about 5 minutes. And it definitely took a looong time to walk up, probably a good 20 minutes. 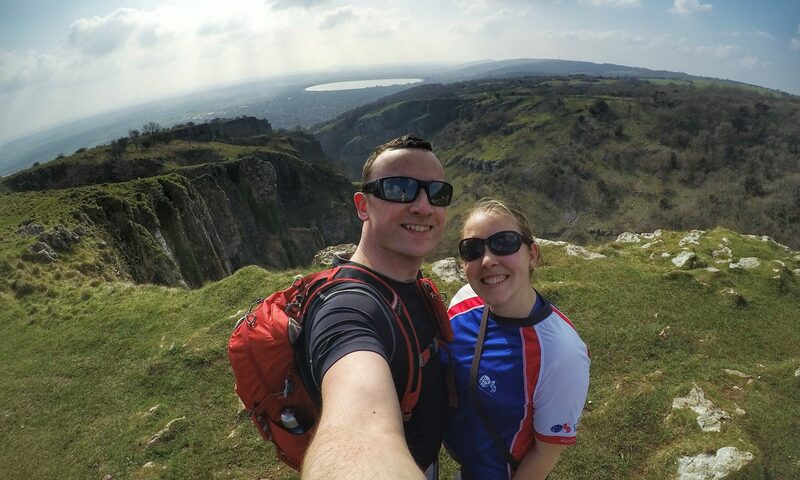 There was a fuel stop at the top and a marshal with a megaphone was spurring everyone on – I could hear him before I could see him but his jokes brought a smile to people’s faces and got us up the last section where we could admire the amazing views. I allowed myself a few minutes to take photos and let my calves feel a little more normal. I knew that the last 7 miles into Brighton were basically all downhill so felt like I could safely assume I was going to finish by now! There were fields of poppies on either side as I set off again, and I could see the sea in the distance. With the sun shining down it really was beautiful. Cycling into Brighton brought back the nerves about riding with traffic again, particularly because by now it was midday and the roads were a lot busier than at 7am. I felt so close to completing though and was determined not to fall off when I was almost at the finish line! 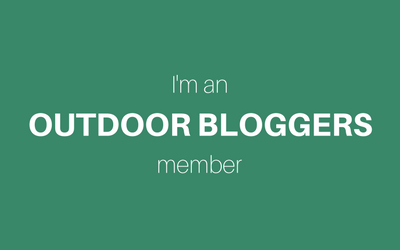 We were kept waiting for ages at the last roundabout – I could feel my arms shaking as I tried to remain calm amidst so many other riders and cars and make sure I could unclip and restart safely. 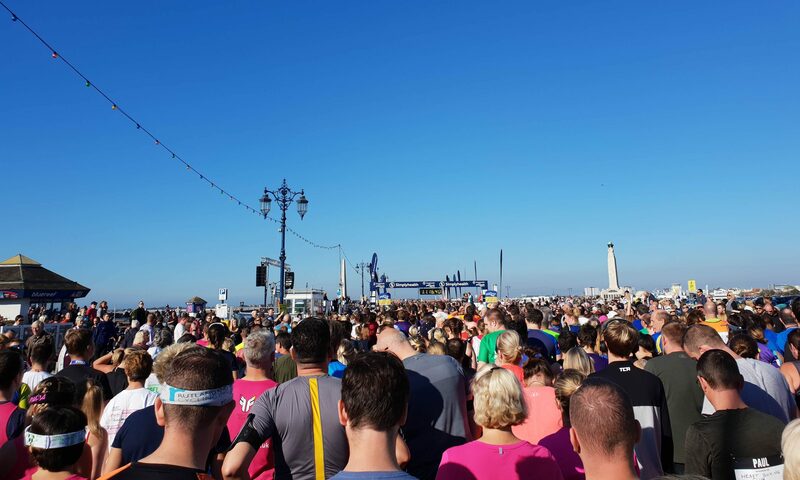 Crowds lined the final stretch of the course as we cycled along the promenade – the same finish as the Brighton Half Marathon I ran last year – and I couldn’t help smiling a massive grin as I cycled under the finishing arch, the announcer calling out my name. I then had to make sure I stopped and unclipped in time to not plough straight into the tables of medals and volunteers handing them out – that would not have been a very elegant ending! It all went smoothly though, despite the marshal struggling to get the ribbon over my helmet… We were also handed a small pot of fruit which I pretty much immediately shovelled into my face to get my blood sugar levels back up. I joined the hundreds of other people walking back along the beachfront, before veering off across the shingle to find a bit of space to sit down and soak in the fact that I’d just cycled 54 miles- on my own (well, with thousands of other people), on a road bike with proper clip-in pedals, hadn’t fallen off and had only got off to walk up Ditchling Beacon! Fish and chips were definitely in order. 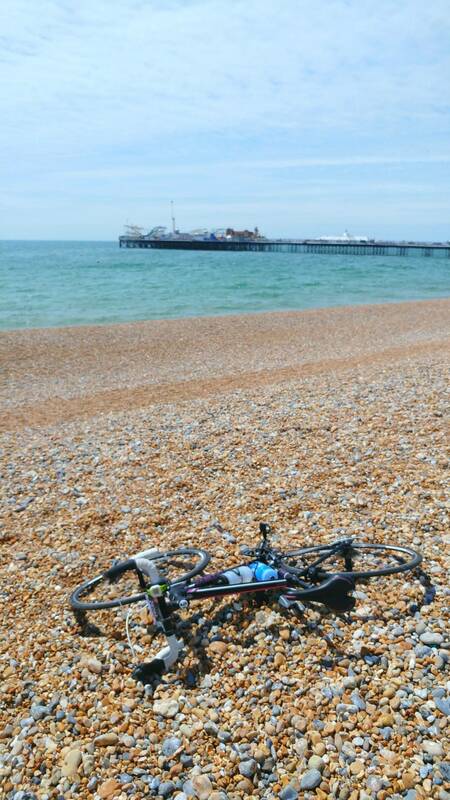 Have you or would you cycle London to Brighton? 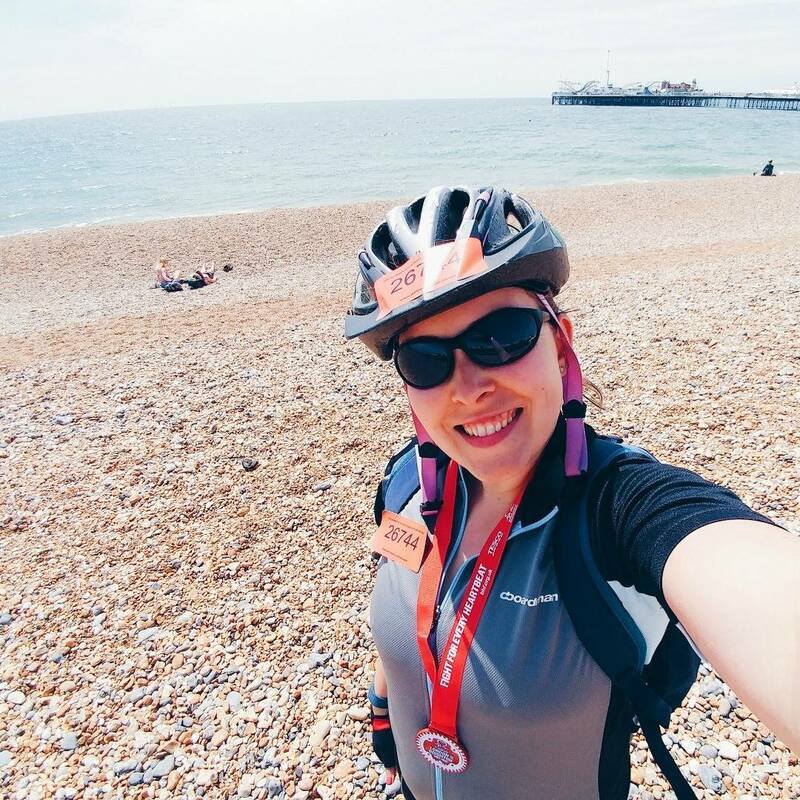 NB: I was provided with a complimentary entry to the BHF London to Brighton bike ride in return for writing about my experience, but I would definitely recommend it. 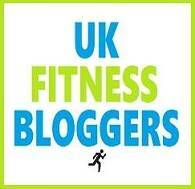 CLIF are also kindly fuelling my training for RideLondon including this event. Wow! What an amazing achievement! Well done! 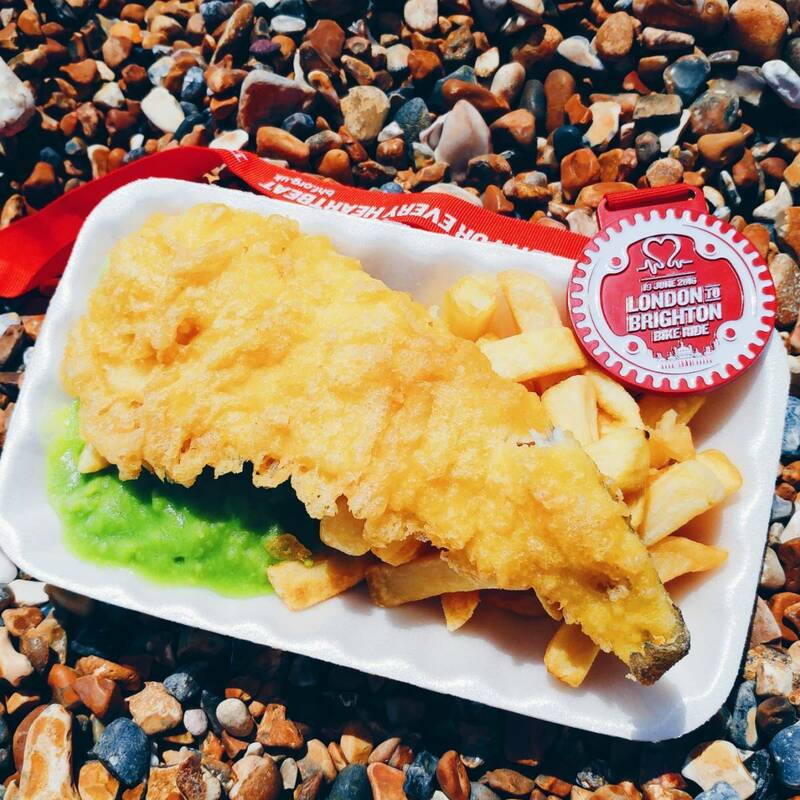 I do love Brighton, so something that finishes there would tempt me more than somewhere else. That’s fantastic! Well done. It sounds like a good day!